A couple of times, I have made the pilgrimage to Purl Soho in New York City. What tends to happen in a case like this is I find myself buying a project. Who knows when I’ll make it back to this amazing yarn store? Will I ever find this yarn again? And so on, goes my line of thinking. This was a $60 USD kids hat. But, if you have a young girl in your house, it is a once in a lifetime experience where she will look so cute in a hat like this. I started the hat in our hotel room, same day I purchased the yarn. I finished it in Madison Square Park while some kind of festival was going on. Yes, I was that lady. Knitting in the park. Worse ways to spend ones time. 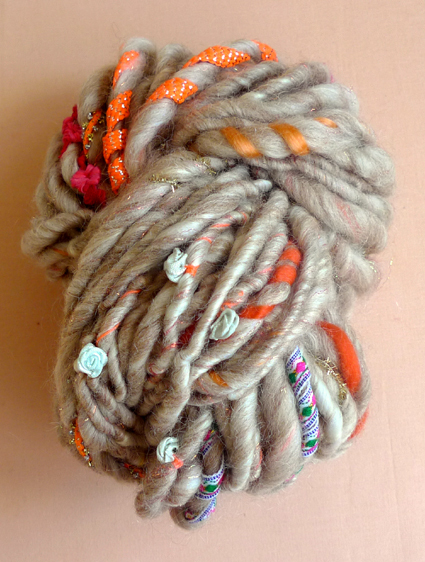 1 (for kid’s size) or 2 (for adult’s size) skeins of Knit Collage’s Gypsy Garden, 75% Wool and 25% Mohair. This color is “Kinari Bazaar”. A set of US #17 double pointed needles. With US #17 double pointed needles, cast on 32 (35) stitches. 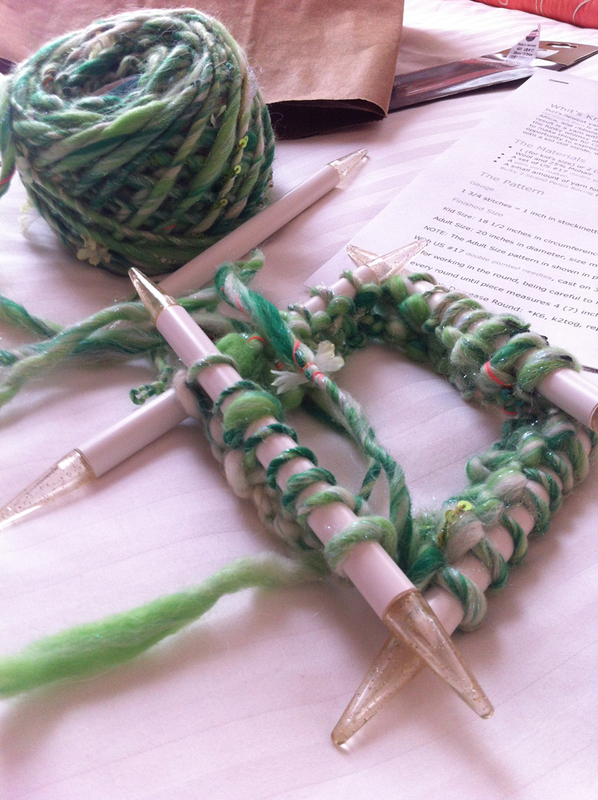 Join for working in the round, being careful to not twist the stitches. Knit every round until piece measures 4 (7) inches from the cast on edge. Cut the yarn and thread the tail through the remaining stitches. Very cool hat. I love it. 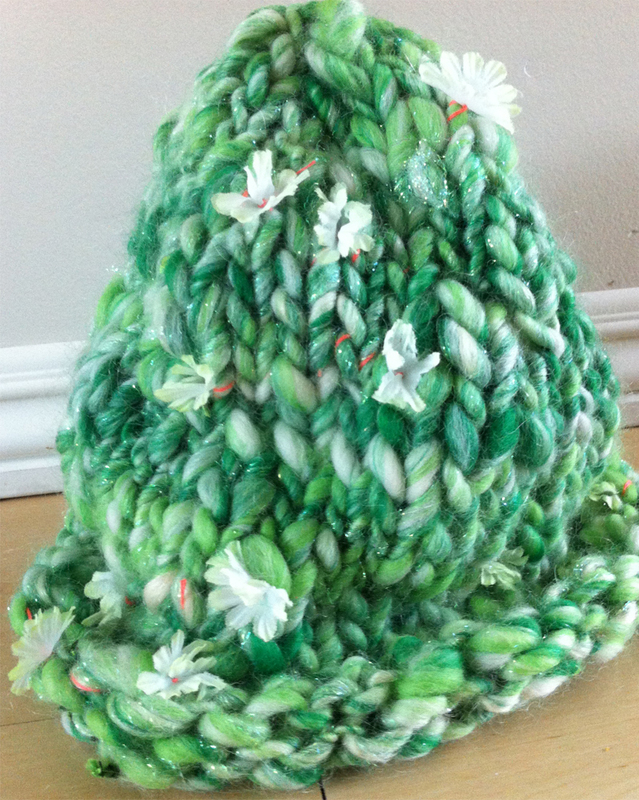 I went to a class a couple years back and learned how to make a hat by knitting in the round. This year I have been experimenting with the pattern.